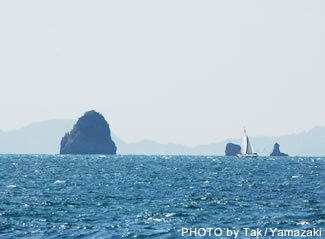 The Seto Inland Sea with its 3000 islands provides an excellent environment for people who enjoy yachting and cruising. The area's rich cultural and historical inheritance, along with a year-round mild climate, make navigating the sea an unforgettable experience. Although facing the Pacific, the large Shikoku and Kyushu islands bring calm waves to the sea. The tides change every six hours, which is a point worth considering, but these conditions add to the fun of navigating the area. The sea's currents have determined navigation between all the small ports and harbors in the area, and the culture of each port has developed through this. The area is also home to a great number of fisheries, active all year round. Sea-goers should take into account the operations of the fishing vessels. It is also worth noting that even though the ports are full of vessels, permission from the port authorities is necessary to use the facilities. 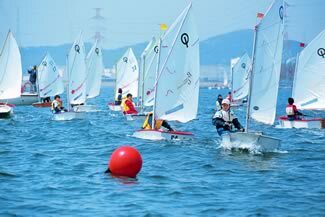 However, the recent construction of Sea Stations, which welcome visitors, makes the Seto Inland Sea a great activity spot for yachts and leisure seamen.